In the aftermath of the Syrian Civil War, which broke out in 2011 as part of the Arab Spring uprising, Lebanon has welcomed more than 1.5 million Syrian refugees in addition to the 500,000 Palestinians taking shelter in the country, according to the Lebanese Embassy in Seoul. With refugees comprising one-third of Lebanon’s population of more than 6 million, their presence has placed a large burden on the country’s resources. Despite the challenges, the Lebanese Republic is committed to resolving conflicts in the Middle East, seeking a fair solution to the question of Palestine “that respects the right of Palestinian refugees to return to their homeland” and “a political solution for the safe return of displaced Syrians to their country,” stressed the country’s top envoy to South Korea. Ambassador Antoine Azzam said Beirut seeks comprehensive solutions to these problems based on the Madrid Conference of 1991, an attempt to revive the Israeli-Palestinian peace process through negotiations; the Arab Peace Initiative, a 10-sentence proposal to end the Arab-Israeli conflict; and other internationally recognized resolutions. “We are a country blessed by its geography, but also cursed by its geography,” he said, adding that Beirut strives for “freedom, concord and moderation” in spite of external challenges and threats. Lebanon and the region are undergoing major transformations amid the threat of terrorism, he added. The diplomat also blasted Israel for its indiscriminate and disproportionate use of cluster bombs in July 2006, which led to the 2011 Beirut Declaration on Cluster Munitions. “These weapons still threaten civilians in their farmlands and innocent children in open fields in South Lebanon. Israel refuses to surrender maps of land mines and still considers itself above international law,” he said. 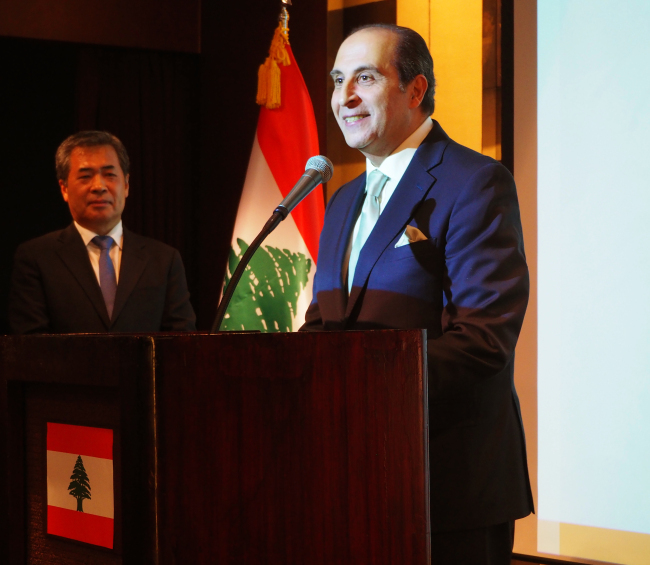 On relations with Seoul, he thanked the Korean government for rebuilding Lebanon’s infrastructure, contributing to security projects and rural and municipal development programs there as well as providing scholarships for Lebanese students. 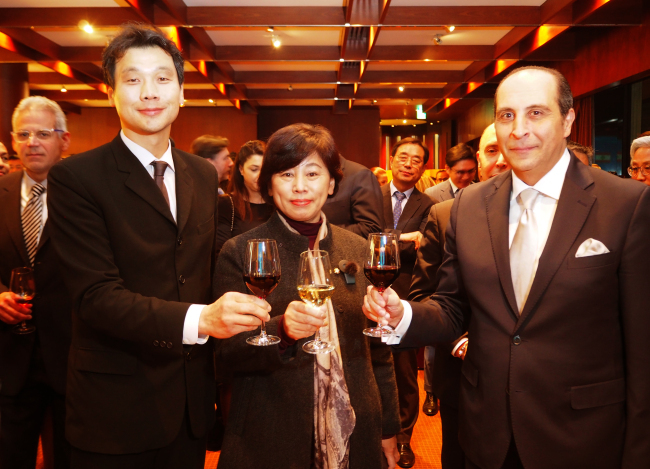 “The most precious gift from Korea is the participation of 300 Korean soldiers of the Dongmyeong Unit in the peacekeeping force of the United Nations Interim Force in Lebanon since 2007,” he said. UNIFIL is a demilitarized zone created by the UN in 1978 through Security Council Resolutions 425 and 426, with the aim of confirming Israel’s withdrawal from Lebanon, restoring international peace and security, and helping Beirut regain effective authority in the area. The Dongmyeong Unit is still present in southern Lebanon and conducting stabilization activities there, Hong said, adding that the unit symbolizes the two countries’ friendship.